news Vodafone has received its second round of government support in less than five years to expand its extensive call centre operations in Tasmania, with the ailing mobile telco revealing today it planned to double its workforce in the state to 1,500 and examine the case for bringing jobs back from overseas. The company has a substantial facility in the Tasmanian town of Kingston, south of Hobart. In 2009, the telco received a substantial package of funding from the Tasmanian Government to keep the facility open and add another 100 local jobs (for a total at that point of 500). The company had been considering shifting the centre to Brisbane. At that stage the Tasmanian Government had been finalising a seven-year assistance package to keep the Vodafone call centre in the state. This morning the telco noted that it was planning to double the size of its workforce in Tasmania to an eventual 1,500 staff, following the award of a funding package from the Federal Government, as well as payroll tax concessions from the Tasmanian Government. As part of the partnership announced today, the Federal Government will provide support up to $4m for recruitment, training and the accommodation of new staff, as well as access to existing government programs for training and support. The Tasmanian Government will provide $850,000 for infrastructure costs payroll tax concessions for new employees. When this new employment initiative is fully operational it is expected to deliver the Tasmanian economy more than $45 million dollars per year in direct payroll contributions. Prime Minister Julia Gillard said the move was a vote of confidence in the abilities of local employees to provide the level of service required by Vodafone to meet its customer needs. 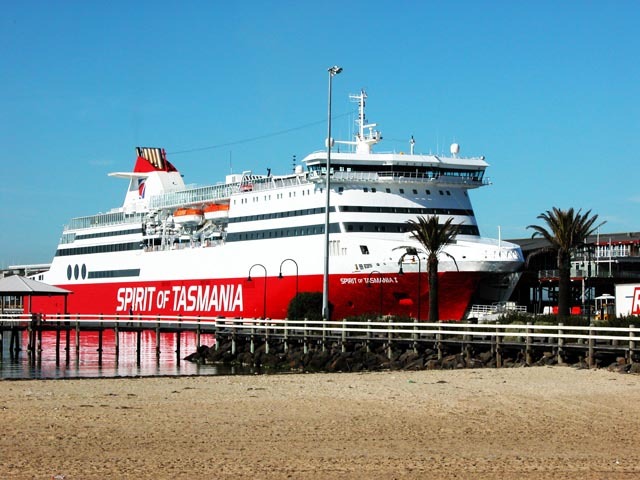 “This is an exciting opportunity for Tasmanians and a welcome development. It will provide training, employment and business opportunities for the region”, said Gillard in Vodafone’s statement. In addition to doubling the number of front line customer service staff at its Tasmanian call centre, Vodafone will expand its customer care facilities, delivering improved systems and providing a high quality, state-of-the-art operation. Tasmania currently has the highest unemployment rate in Australia, with around 7.8 percent of residents in the state not able to fund jobs — the national average is 5.4 percent. Vodafone picked the site for its planned expansion because of its existing call centre in the region and the potential to scale it up. The potential also exists in the medium term for the company to use less resources in its offshore Indian call centre. The news comes as Vodafone continues to suffer financially due to the ongoing exodus of customers to other carriers. Earlier this week the company revealed it had lost 443,000 customers and about $817 million in the 2012 calendar year, as indications continue to mount that the company’s network rejuvenation, staff restructuring and executive leadership changes have had little to no impact on its fortunes. What you think of this move by the Federal and Tasmanian Governments to again fund Vodafone’s expansion of its call centre facilities in Tasmania depends what your political philosophy is. If you are broadly of a more socialist democratic persuasion, you likely think it’s a good move. It’ll benefit Vodafone customers through keeping more jobs in Australia, Tasmanians through more jobs, and the overall Tasmanian and wider Australian economy. Plus, it helps the politicians. Sometimes, your thinking might go, it’s appropriate for the government to step in to help major corporations keep jobs in an area like Tasmania, which doesn’t have much else going for it. However, if you are like me, a small business owner and someone who has a small ‘l’ liberal political philosophy, is opposed to government handouts and thinks the market should broadly take care of itself, the Federal Government’s intervention with Vodafone is somewhat offensive. After all, why should Vodafone be the only company to benefit from government largesse? Why shouldn’t Telstra, Optus, iiNet and TPG, all of which have Australian call centres to some extent, receive similar funding? There’s also the issue of why the government should spend taxpayers’ money on private sector interests at all. As a company right now, Vodafone is failing completely … losing hundreds of thousands of customers and hundreds of millions of dollars each year. Isn’t the government throwing our money into a black hole in this case to prop up a company on the brink of disaster? Personally, I think so, and I think this money could be better used. After all, I’m a small business owner, and I don’t see the government throwing bundles of cash my way to keep my business open. Probably because my business isn’t big enough — and it’s not based in a ‘disadvantaged’ region. I would rather the Government bought some Vodafone shares instead, at least then in 3 years time when Vodafone is leaving Australia, they might have something to show for their largesse, instead of siphoning it down the drain! It makes sense financially for the government. Say these people pay effective rate of 15% tax (again probably more), so now government gets $4.5M p.a. more in tax revenue. i.e. Government breaks even less than a year. So if you can better that, yes you are disadvantage. But if you can’t, you just don’t have a business case for the government to invest, in this instance. No it doesn’t make sense, it’s idiotic. Putting aside the second round effects (e.g. the Government will eventually have to recover that $4m through future taxation, which creates dead weight loss where it is levied; economic distortions caused by misallocation of productive inputs and labour etc. ), the direct costs don’t even stack up in the public’s favour. Going off Lara Giddings’ and Julia Gillard’s press releases (here: http://www.premier.tas.gov.au/media_room/media_releases/750_vodafone_jobs_welcomed and here: http://www.pm.gov.au/press-office/gillard-government-invests-750-new-jobs-tasmania), it looks like they shelled out to pay for a minimum 1 year, after which the Government can either shell out more or Vodafone will, in all likelihood, relocate to wherever they would have relocated to this time around (unless you want to argue that they’ll stay on out of gratitude, but I’m going to assume Vodafone will simply look to be maximising their profits/minimise their costs). (this figure assumes 70 jobs are added a month, except for the last month where only 50 are added to bring the total up to 750, also assumes that no employee claims a single deduction or tax offset, which is extremely unlikely…. FYI I used the full effective tax rate of 13.5%, but realistically, if deductions and offsets were included, it would be closer to 10%). Bringing us to a net loss of revenue for the year (between the Tas and Fed governments) of $6,739,603. This is just bad policy. And please don’t mistake me for an Abbot-drone. I marginally prefer the current Government mostly because of their superior NBN policy (but frankly, at this point, I’m sorely tempted to just return an empty ballot next election). While I do generally consider myself living on the center Left of politics, I also think that a well regulated market should be left alone to fend for itself unless the market is clearly failing to be a competitive customer centric environment (like fixed line comms due to the mistakes made by JWH’s mob). Vodafone frankly should realise the value of having local call center staff and foot the bill themselves without handouts, if a small company like Adam Internet (as just one example) can have its own local call center and still be profitable then surely a large company with the economies of scale that Vodafone has can do it too!